Fantastic! 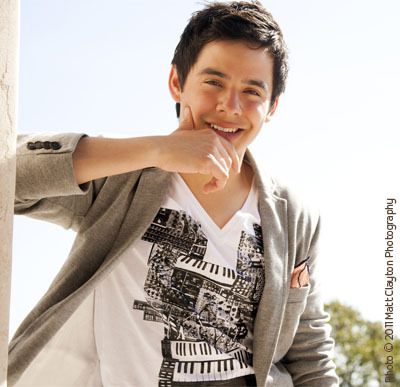 DavidArchuleta.com has been redesigned and it looks great. The graphics and typography are so über cool. I love the brown and green colors and the new Matt Clayton photographs of the photogenic singer. Congratulations, David, and everyone who worked on creating this wonderful new website. David’s new site leaves the old one in the dust. Funny how much classier things are without Jive muddying the waters, n’est-ce pas?! Minja: For the life of me, I cannot find where DA Buzzing is listed on the new official site. When I click on the link provided in the previous thread, all I get is the message “is coming soon.” I also noticed that the web address doesn’t jive with the address you have posted above. (There’s that word again!). Do you think the other one is a counterfeit website? I guess I didn’t log in properly, because my previous comment says I’m “unregistered.” It’s the same me! Hey Katheryn, the *.info website was up. Now it’s ‘coming soon’. Thanks for letting me know. There was a page for fansites. Hopefully the new version will have it too. When the site was up, I noticed it had some display problems. For example in Safari, the ad panel on the right totally obscured the third column of Fansite listings. Maybe they want to give *.info the same layout and design of the official website. And I hope the DA dot com site will have a link to the Fansites page on the Fans menu.